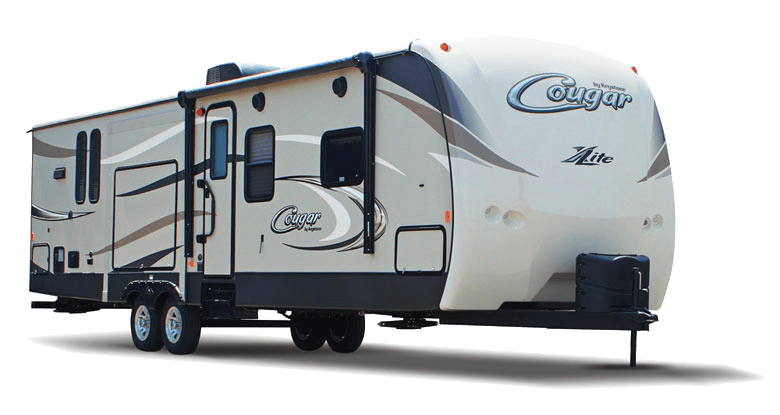 Cougar X-Lite has all the features RVers have come to expect from the Cougar name without all the weight. All X-Lite travel trailers come with king size beds and optional fire place. Solid surface countertops and vaulted ceilings make entertaining a dream. LED lighting throughout make spending an evening inside like you never left the comforts of home. Other premium features include USB charging stations, hardwood cabinet doors, X-Lite docking station, Buetooth stereo with MP3, DVD and CD player and much, much more.